We offer a wide range of leather executive diaries made from supreme quality leather, leatherette and paper. These are widely used in personal and corporate sectors conventional due to its smoothness in writing, good cushion comfort, excellent finish and durability. 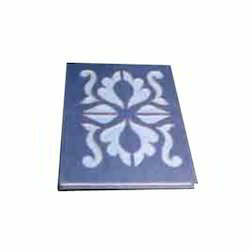 We design the best quality Leather Notebook Diary in various attractive and standard patterns. We provide numerous sizes and types to meet our clients’ requirements. The sheets are of high quality papers which are acquired from leading sources. These notebooks are provided in bulk to various retailers across the nation. 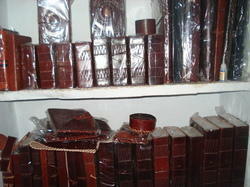 We are leading manufacture all kind of Leather Diary Products. The dairy made by good quality camel leather & hand made paper on it. 100% Genuine Handmade Leather Journal Diary with Elephant Print. Totally Manufactured Branded Leather Product On Junkyard Collection From SECONDMAY. By leveraging upon our huge industry experience, we provide the best quality array of Leather Bound Diary.